The theatre was originally designed for Jewish vaudeville acts and stage plays. It was used as a cinema from 1953 - 1957. It returned to stage use from 1957 - 1977, after which it was used as a music venue until it finally closed in 1979. The entrance still exists at the same address but it is now a pharmacy. The theatre wrapped around a corner building with part of the theatre on the south side of 4th Street. The 4th Street portion has been replaced by modern housing. The site had previously had a Yiddish theatre in the late 1800s or early 1900s. 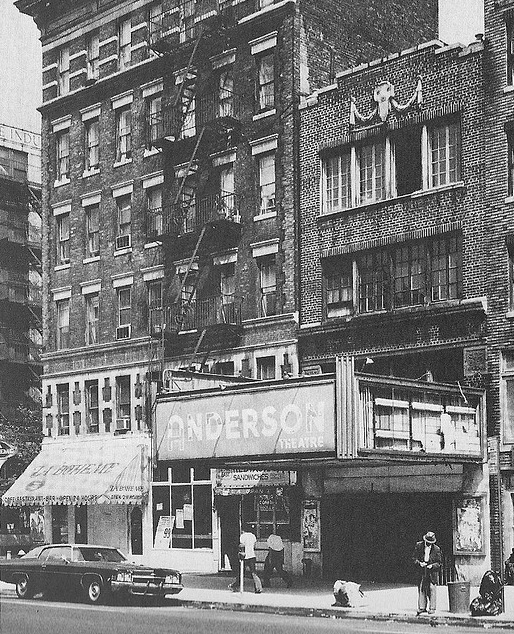 The actual structure known later as the Anderson Theatre was built in 1926. Parts of the theatre were demolished in 1990. The remaining portions were turned into apartments in 1997.